There is a common misconception about jazz nowadays, at least among the musicians, educators, and opinion-makers. Apparently, the further a musician or a band deviates from the ‘straight ahead’ canon, the more adventurous, inventive, experimental or even significant music his/her/their music is considered to be. In fact, it has become something of a stigma among some jazz musicians to be associated with hard-bop or any of the bop idioms, not to mention swing. Of course, bop continues to be played in jazz clubs around the world and enjoyed by the jazz aficionados, but in the ‘jazz elite’ circles it is somewhat frowned upon, as a conservative and not exciting practice, of lesser artistic merit than the ventures of people who even renounce the term ‘jazz’ in its entirety, preferring to call their music anything from ‘Black American Music’, to ‘stretch music’ to the more abstract ‘modern improvisational music’. 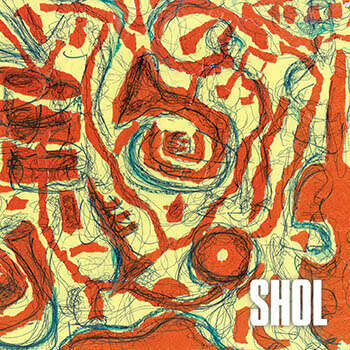 Nothing could be further from the truth, as Shol’s recently released eponymous debut album can attest. Shol is of course one of the hardest-working jazz ensembles around, one that spun from the duet of trumpeter Christopher Skepper and pianist Andrew Harrison, in 2004. By no means a nostalgic outfit, the quintet – John O’ Hagan (bass), Chris Lewis (drums) and Chris Pappas (sax) complete the band – draws inspiration from the sound of the ‘60s jazz landscape: hard-bop, modal, free, avant-garde, blend together in harmony and with a very contemporary touch. Though Shol’s music – all members contributed original compositions to the album, though half of the tracks are Skepper’s – does owe a lot to the work and brilliance of the groundbreaking geniuses who paved the path and defined jazz as an art form, it is much more than a replica. Blending all their influences and references into a seamless, homogenous sound, they prove themselves above labels – but, what’s even more important, they do so with the brilliance of their performance and the power of their beautiful compositions. I can’t imagine a listener who could resist the beauty of ‘The Peace Within’, for instance, or the groove of ‘The Meeting’, to cite but a couple of songs. What is mostly evident is that, contrary to the current trend in jazz, it is not at all safe and conservative to delve into the sound of mainstream jazz. It takes, in fact, much more courage and audacity and devotion to do that, knowing that you’ll always and inevitably be measured against the Coltranes and the Shorters, the Hancocks and the Hubbards, against Woody Shaw and Joe Henderson and Andrew Hill. By doing so, Shol prove themselves to be fearless, and rightly so. As improvisers they’re inventive, soulful and adventurous. Their interaction is exemplary, similar to supergroups as the Cookers, to mention yet another band that looks to the spirit of post-bop for inspiration. By creating this delightful labor of love and devotion, Shol can affirm that it definitely pays to follow the straight and narrow path. Brilliantly written Nikos. Sincere thanks from Shol.